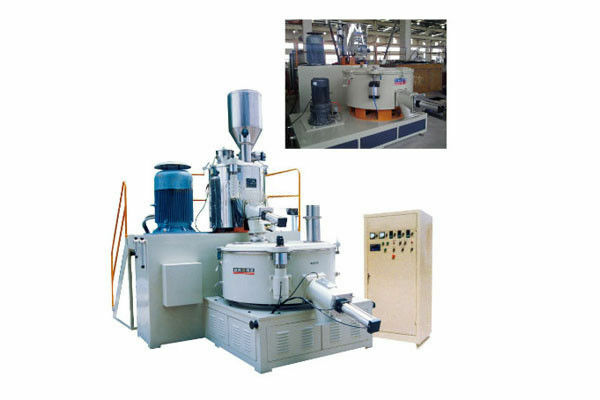 SRL-W Series hot/cool combination mixer is used in mixing, stirring, drying, coloring and other technique of plastics, rubber,chemicals for daily use.It is an ideal advance equipment of producing plastics plate, pipe, and special-shaped material and degradation plastics. 1, The unit is developed through introducing, digesting and absorbing foreign advanced technology. 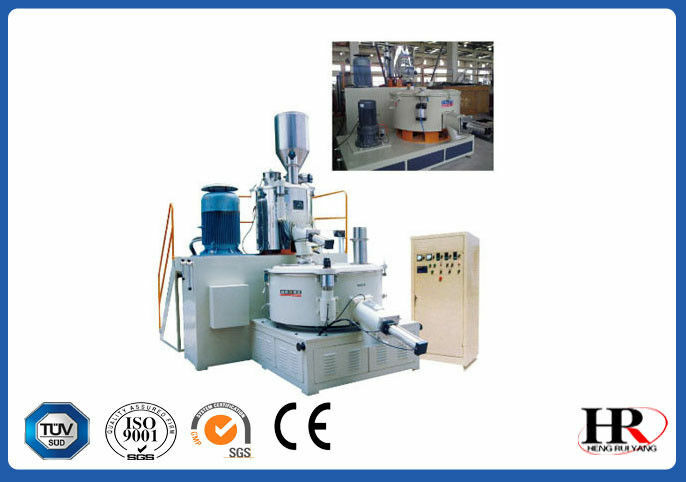 2, The vacuum mixing principle is adopted in mixing materials. 3, The electric meters all adopt imported famous ones and adopt PLC program control. 1, High auto level, fast mixing. 2, Fast cooling, discharging thoroughly. 3, Blades are precisely cast with stainless steel and passed the dynamic and static balancing test. 4, The blades of its cooling machine adopt the most advanced screw stirring structure in the world.